Written for Journalism Master’s Course, November 2013 . On the night Eleanor Catton won the Man Booker Prize she was joined at her table by a small, quiet woman from Brighton. The woman was not a judge, author or publisher, and she had never met Catton before, yet she made the guest list of an event to which even nominated authors can only bring two guests. The woman was bookbinder Rachel Ward-Sale, and a photograph of the night sits on a desk in her studio. She doesn’t feature. Instead, it shows Catton holding a copy of her winning book, The Luminaries, hand-bound in the studio where I now sit. 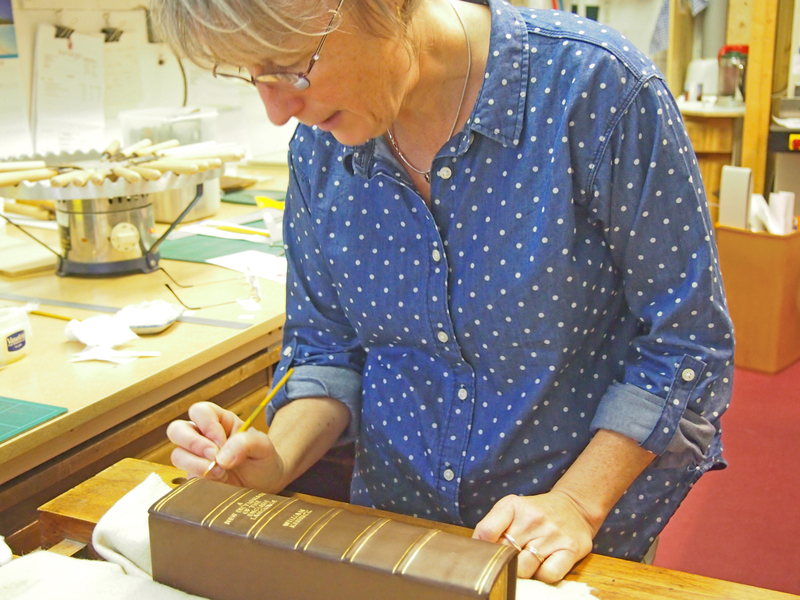 Ward-Sale, 54, has been a bookbinder for 36 years and admits that her artistic process, in which “a finished product is my starting point”, is an unusual one. When she gets a commission to design and bind a book, as she did at the beginning of October from the Booker’s PR team, she begins by reading the book cover to cover -for The Luminaries she was given only a month and had to plough through its 800 pages before she could begin designing. Next, she designs a cover, sketching anywhere from six to 60 designs until one hits the right note. Sometimes, as with Catton’s novel, the design seems obvious: “it was clear that it had to be gold – gold links the characters and their stories in the novel.” Her final design was a navy blue binding with a constellation of gold specks. 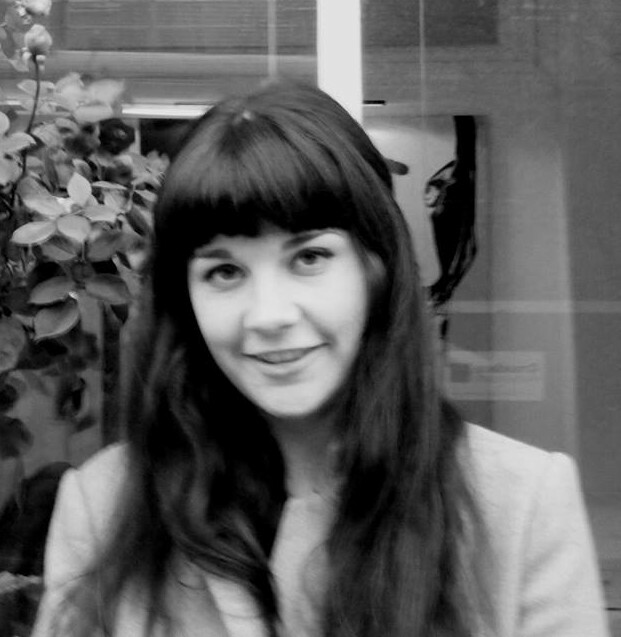 From her studio in Lewes, East Sussex, Ward-Sale works on only two or three commissions a month. Hand-binding and decorating each book can take up to 70 hours, which explains the steep price of a “design binding” – £1,000 to £3,000. Around us, dwarfing the figure in the chair opposite me, are enormous rolls of paper and leather, bought from stockists in London and Northampton and then sliced on a menacing machine on our left. Leather is heated and stretched onto boards, then pages are clamped in a vice and stitched in using linen cord or tape. The design work only begins once this lengthy process is completed. Restoration work can be “very rewarding” too. When I arrived Ward-Sale was painstakingly painting gold leaf into hand-stamped letters on the spine of an eighteenth century dictionary. Its discarded covers, rotten and peeling, sit next to the book, which arrived as a “pile of pages” but is unrecognisable now in its new brown leather jacket. Ward-Sale’s interest in the presentation of books began as a child, in a household where both parents were illustrators and her father designed book jackets. “I suppose what I do is just a high-end version of what he did, with the luxury that I don’t have to grab my reader’s attention – they already love the book I’m binding for them,” she says. Perhaps it is not surprising that for someone who spent ten hours impressing lace into the cover of her favourite book, jabbing at a glass screen doesn’t quite measure up.